Part of the reason why I love living in California has a lot to do with the fact that if you drive two hours in any direction, you’ll run into some place awesome. Add the fact that we’re one of the largest wine producing regions in the world and that we’ve become heavy-hitters in the craft beer scene, and you’ve basically got three solid reasons to live, work, or play in the Golden State. I love visiting and re-visiting a place to get the lay of the land. I enjoy being able to say that I have a favorite coffee shop in historic Auburn, CA or a go-to printer service in Arcata, CA on my random travels. With that said, I’ve been really getting the hang of the good, the bad, and the awesome in the Santa Ynez Valley. We come here fairly often, although in my opinion, not often enough. The glory that is Santa Ynez wine country is only two short hours away from Hollywood; just a stone’s throw from Santa Barbara, in what is an often underrated region (at least compared to Napa and Sonoma). While the wines here don’t have the same reputations, they shouldn’t be forgotten. There are many smaller-scale producers here pushing out limited release wines that are low-intervention, estate grown, and if you look in the right place, are both organic and biodynamic. It’s a temperamental and interesting region when it comes to terroir; with the coast so close, unpredictable amounts of rain, and the valleys lending to some consistent sunshine. Mother Hubbard’s in Buellton is the kind of country kitchen that I often dream about when I am home in Los Angeles. 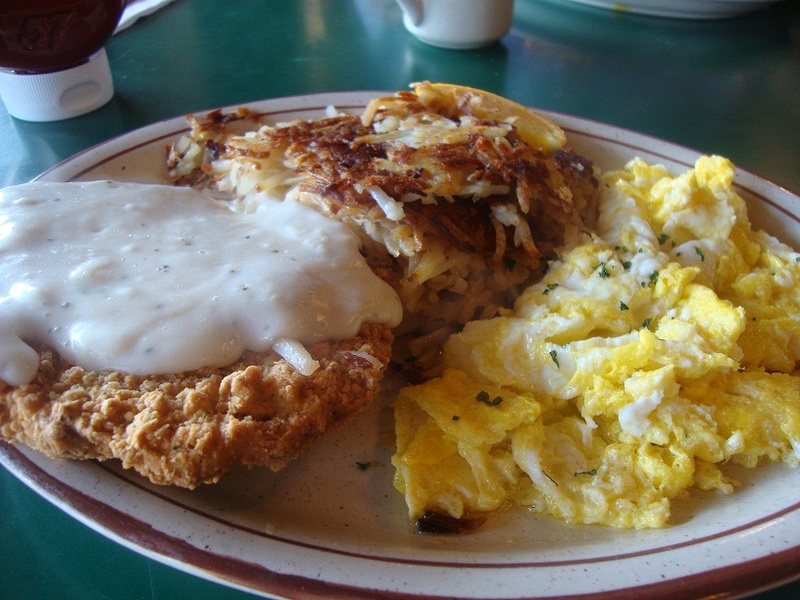 Sure, we’ve got a few great places serving slightly elevated version of these southern breakfast classics, but for chicken fried steak, very few compare to that of Mother Hubbard’s. Crispy on the outside, tender and juicy on the inside. Great seasoning and non of that sogginess that other places have trouble with. Served with rich hash browns and butter (organic and cage free) eggs, breakfast here is hearty and won’t break the bank at under $10 per entree. Make sure to get the biscuits on the side. The Los Olivos Wine Merchant and Cafe has become increasingly popular over the years as it was featured in the film Sideways, but unlike other places captured on film that can be over-hyped and not worth your time, this place (along with my recommendation for dinner) are definitely must-trys for when in this area. Los Olivos is a great little town for those looking to hop from one wine tasting room to the next. It takes away the driving from one winery to the other, so you can just park your car, walk around all day, then stumble into here for a tasty lunch or dinner. Reservations are recommended but are not required. 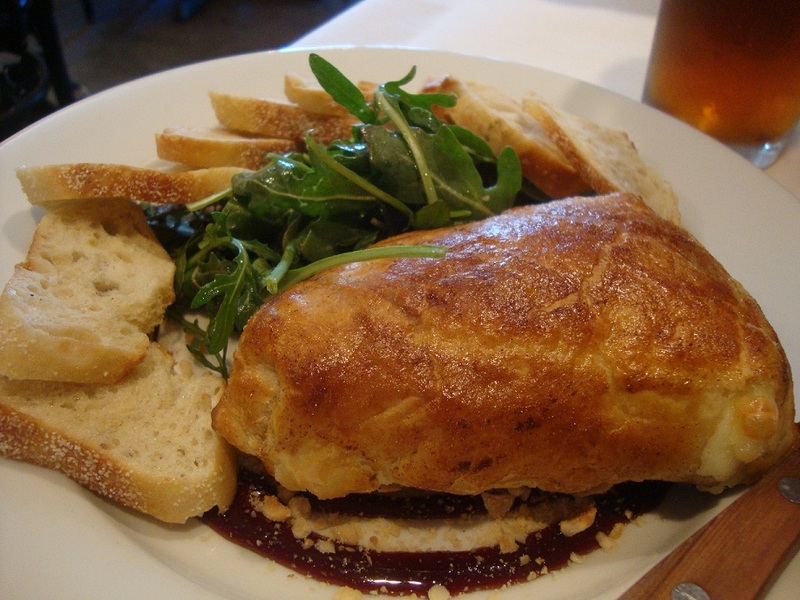 You’ll definitely need to try their baked brie appetizer and for lunch, you can’t go wrong with any of their flatbreads or fresh sandwiches. Casual lunch in a semi-upscale environment. The major highlight here is their wall of well-curated wines; some of which you can actually snag for cheaper than many of the places closeby. If you venture to the back, you’ll see a small area dedicated to craft beers of California. I snagged a bottle of the barrel-aged Old Rasputin for much cheaper than several bottle shops in Los Angeles. 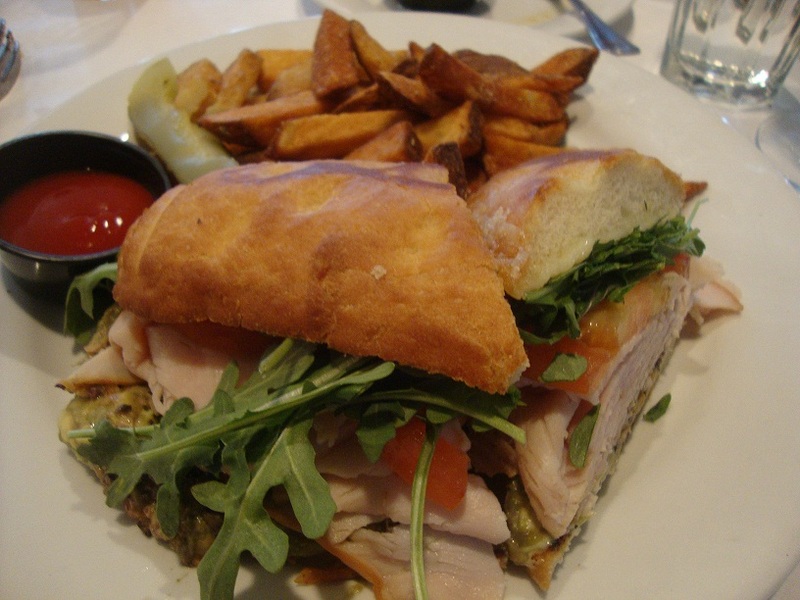 The Hitching Post II is the Big Kahuna of restaurants in the Solvang/Buellton area. Also made wildly popular in the movie Sideways, we’ve been fans of this distinct restaurant since I was a little girl, and amazingly, not much has changed since the first time I tasted their amazing red oak grilled steaks. While the interior may seem a little dated, The Hitching Post is a cozy, romantic spot; perfect for dates or get-togethers with good friends. Famous for their wine, you’ll need to make sure to grab a glass or a bottle of either their pinot noir or their syrah. I can never come here without taking at least 3 bottles home. 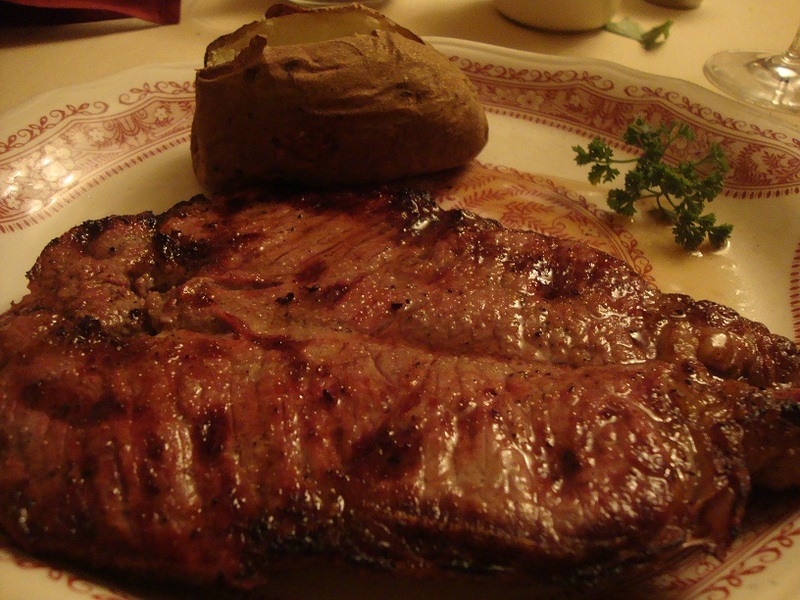 You can’t go wrong with anything on their menu (the NY Steak is tender, juicy, and oh-so-yummy) and with a baked potato, you’ll be happy in meat-and-potato heaven. 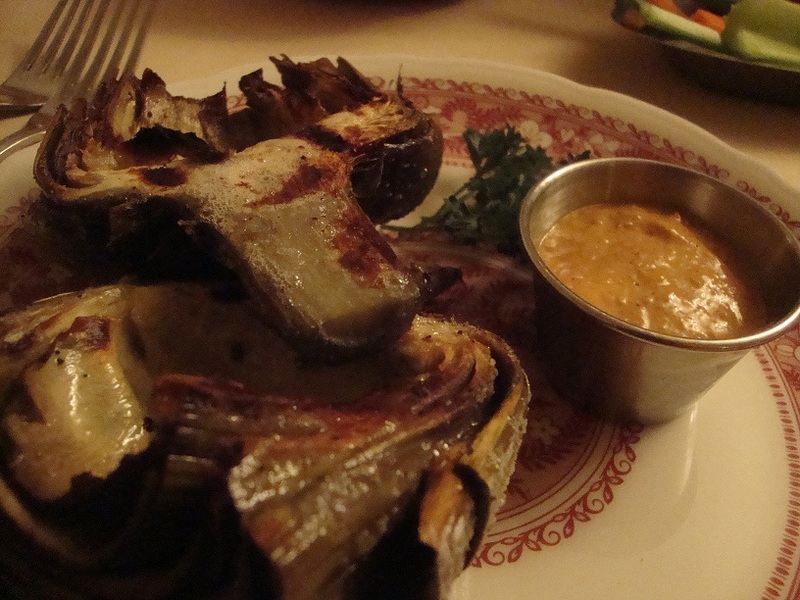 However, you MUST by all means, get their roasted artichoke, which till this day, I crave constantly. I’ve never had a better artichoke in my life. Their magic dust seasoning must have something addictive in it. 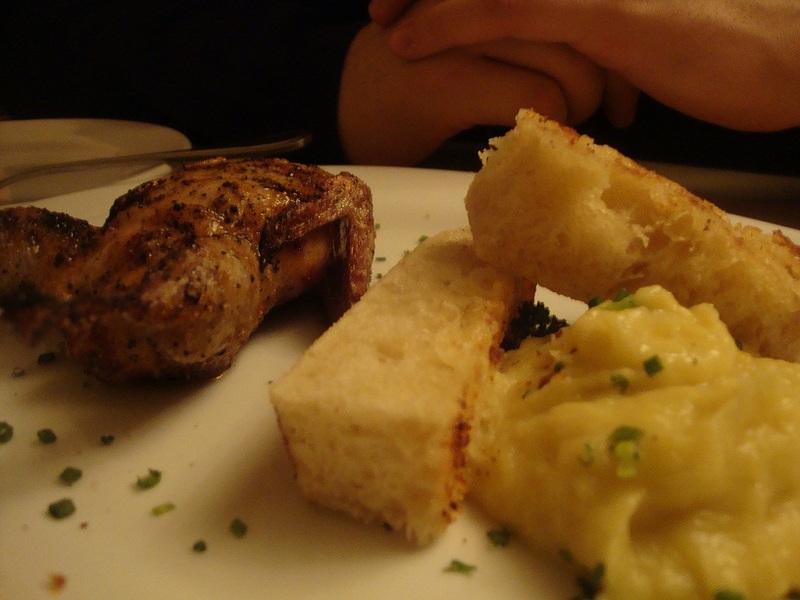 Their grilled quail is also another must on the menu. Whether you order it in appetizer or entree form, you’ll be pleased with this tender and delicate bird with a touch of smoke and the right amount of seasoning. Dinner isn’t cheap here, but it’s worth digging into your pockets after a luxurious day in the valley. Oh, and if you’ve got room for dessert, they make a mean classic chocolate cake- simple but so good.